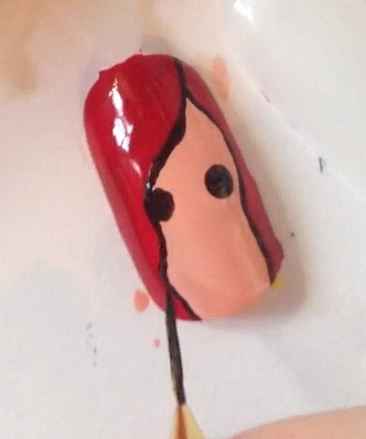 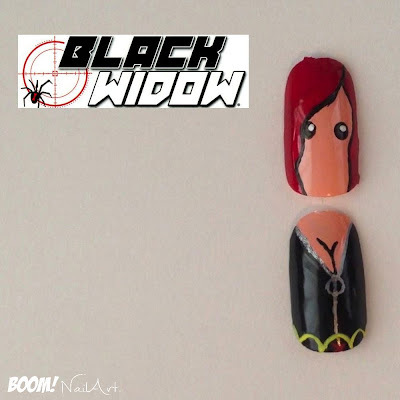 Outline long red hair on both sides of the nail. 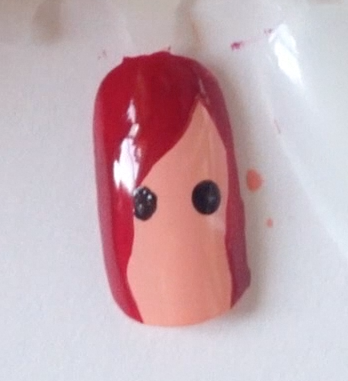 Fill in the red hair area. Add 2 black dots as eyes. 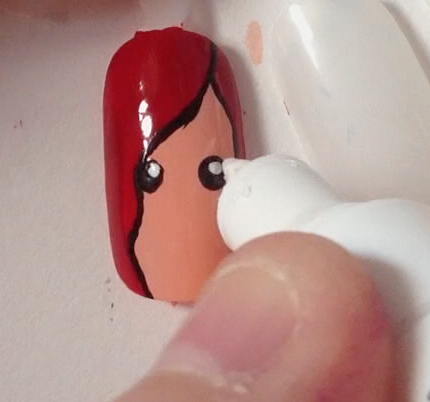 Outline the hair with black. 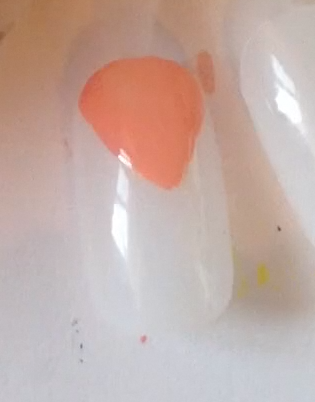 Add 2 smaller white dots inside the eyes. 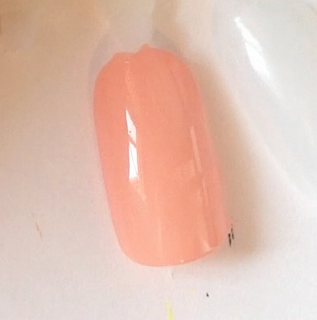 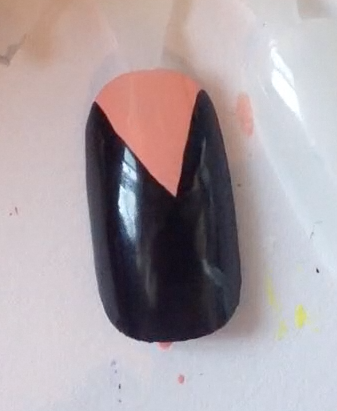 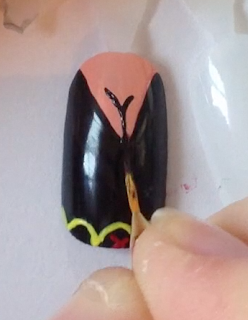 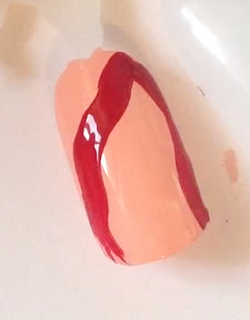 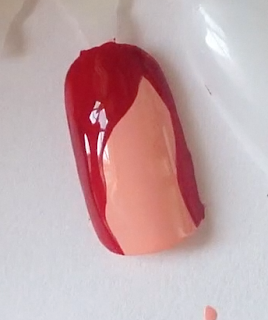 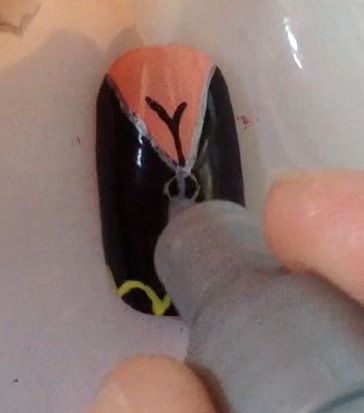 Paint a peach triangle coming down from the top centre of the nail. Then paint the rest of the nail black. 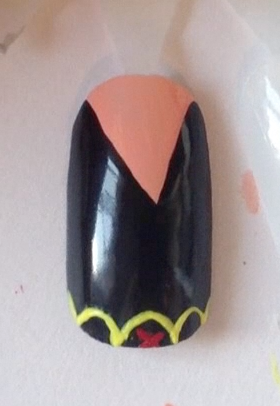 Paint yellow circle lines across the bottom of the nail. Paint a red 'X' in the centre circle of the belt. 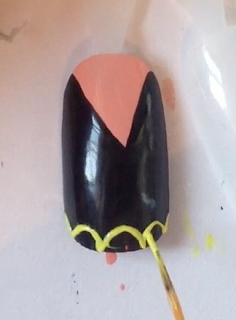 Outline the triangle, the paint a vertical line through the black and add a circle to the top of the line, using silver.